Welcome to the unified Hitorical Boys' Clothing (HBC) website. We have reorganized the entire HBC site that was formerly hosted at several different free sites (Fortune city, Xoom, Nettaxim, Tripod, and Geocities). We decided in 2000 to move HBC to a fee-based host. The reason for this was all the screen clutter and annoying popups and some even inserted cookies and heavens knows what else on your computer. We only slowly became aware of this. So we decided to move HBC to host where we completely control the content. And we guarantee to you that HBC is a safe sight. There will not only be no distracting pop-ups but there will be no banners and cookies. I think you will find the results not only safe and much more enjoyable to navigate. HBC is now the largest fashion history site on the Internet. We have arquived a vast mount of infiormarion about clothing and fashion. Most of our information is about boys' clothing abd fshion, but thgere is a great deal of information about girls and adults as well to add perspective. And the information can be looked by garment or by other attributes such as activity, chronology, country, nd other natters). While clothing and fashion remain the core of our site, we are now expanding HBC to cover the wider experience of childhood in history. Here the fashion information is a valuable resource to draw on. As a former teacher, I recall how my students would ask about children during the various historical periods that we studied. There was not a lot of information available. Our HBC website is collecting information to address this interesting area. And here you, the reader, are a primary source of information. The experiences of our readers have been a major resource in building HBC. And thanks to the reach of the Internet, what began as a largely American site now has a huge European (England, France, Germany, Italy, Rusia, and other countries) component. We are now expanding HBC to include countries in Africa, Asia, Latin America, and Oceania where readers have submitted fascinating information and images. We now have information on over 100 different countries. 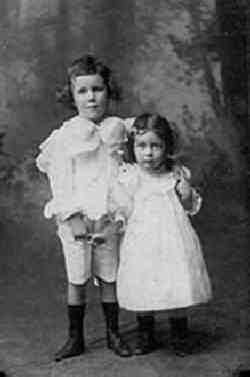 Figure 1.--Mothers in the late 19th Century believed in dressing formally, not only themselves, but also their children. This American photograph was taken about 1890. Because of hosting fees and bandwith constraints, we need to ask readers to make a small contribution so we can bring the images on our site to you. We estimate that there are now 25,000 pages and over 30,000 images on HBC and the associated satellite sites (royalty, uniforms, and presidents). New pages are added virtually every day. Most of the images are portraits and snapshot that have never before been published. This is certainly the largest history or fashion site on the Internet. It may the largest site not maintained by a large corporation or university. Our goal is to create an online encyclopedia, not only assessing fashion trends but placing them in a meaningful historical context. Of special interest is adding personal accounts to provide details of actual experience. So please come view our site and join us on our historical journey.